This Saturday 6th May, we’re getting a very special visitor at Levy Market. 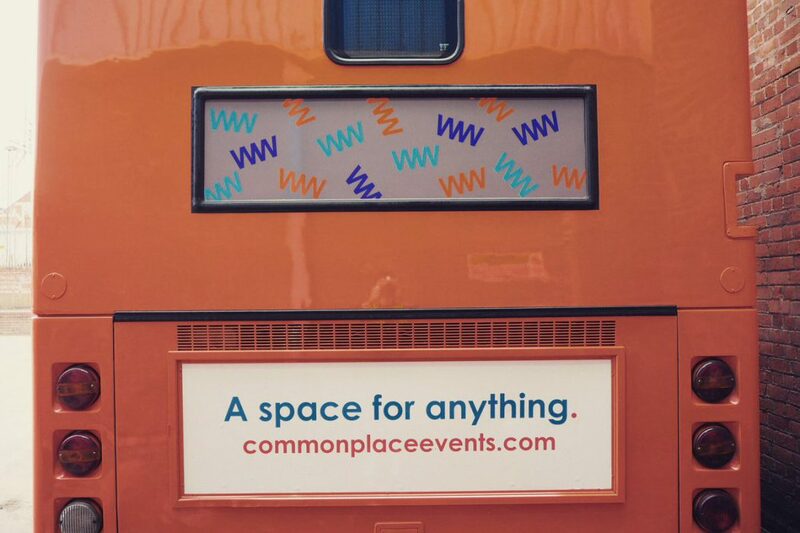 The Commonplace bus is parking up right in the heart of the market, with lots of exciting things happening on board. All are welcome to join in and it’s all completely free – so hop aboard for a good ole nosey around! Meet the brains behind Commonplace, a unique mobile space that caters for everyone. The bus has been completely refurbed and is ready to house the best pop-up events, community activities, meet ups and organisations Greater Manchester has to offer. On its maiden voyage to Levy Market, the Commonplace team want your help to develop the bus even more. 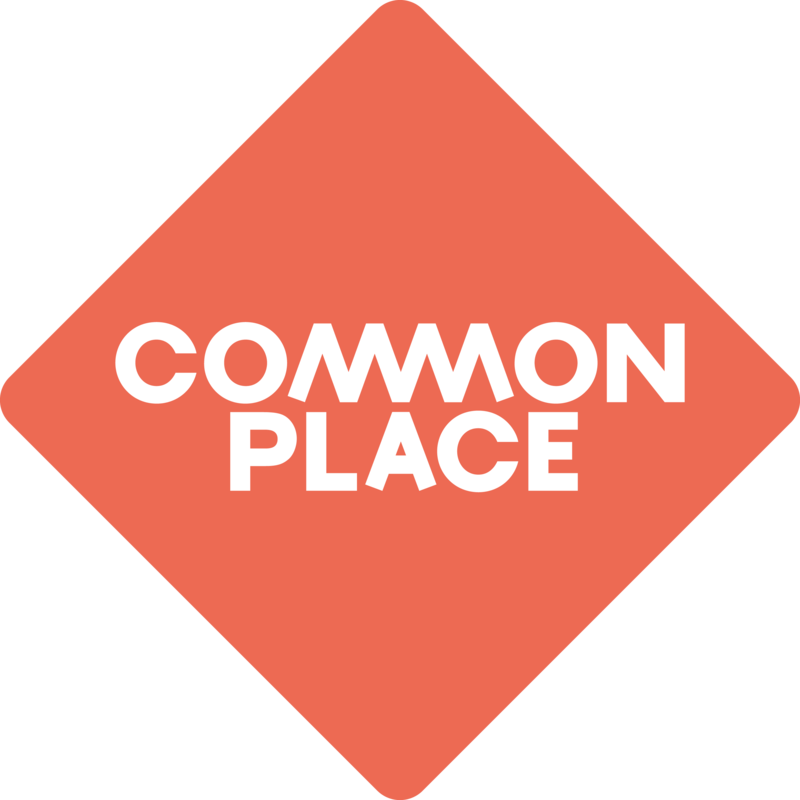 Come for a look around and join in the consultation to help shape the future of Commonplace! 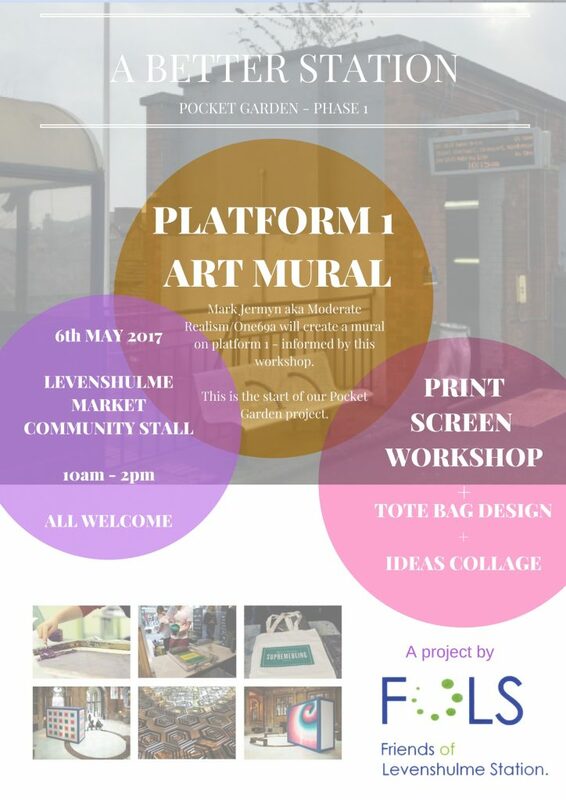 Join in a fantastic art workshop with Friends of Levenshulme Station and local artist Mark Jermyn (also known as Moderate Realism). An exciting new project to bring a creative art mural to Platform 1 of the station is in the works, and this Saturday where the journey begins. Mark Jermyn and helpers will be hosting creative play sessions with live screen printing and tote bag design. As well as this, concept sharing on large art boards and asking your thoughts on why Levy is so bloomin’ brilliant. Read all about it on the Love Levenshulme website and head upstairs for a visit on Saturday.